Sometimes when you see a recipe you just know it’s going to be fabulous. Fried chicken that’s first dipped in Buttermilk, then bread crumbs caught my eye in a recipe from Food Network. I put it on my menu for last week and I made it on a night when my husband came home very tired and weary from an extremely busy afternoon. When he came in the door, the lights were dimmed, the candles were flickering, soft music was playing and dinner was on the table. 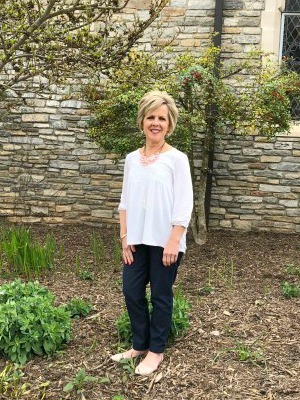 It was my way of saying, “I care about you enough to help you rest when you come home.” It is my attempt to be a “good thing” to my hard-working husband. As I imagined, he was starving. Within minutes of his arrival home, we were praying and then digging in! I LOOOOVE it when he takes the first bite and says, “MmmMmmm!” He also added, “That’s a winner!” Yay! I had about five strips leftover (hard to believe, because I just used one chicken breast! ), so the next day I warmed them in the oven and cut them into pieces and added them to a salad for each of us. Yummy! The Food Network issued this recipe as a lunch for your child’s lunchbox. They cut the chicken into nuggets. This would totally make any child’s lunch the best in the school! 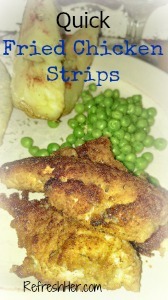 If you like fried chicken, you need to make this super fast recipe with chicken strips! 1/3 cup buttermilk – Shake up the buttermilk before pouring! 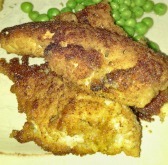 1 1/2 cups panko bread crumbs – I was out of Panko crumbs, but the regular bread crumbs still made a nice crust! Whisk the egg and buttermilk in a medium bowl. Soak chicken pieces in egg mixture while you gather remaining ingredients. Meanwhile, in another shallow bowl combine panko with paprika, garlic powder, Italian seasoning, and salt and pepper, to taste. Set a rack on a cookie sheet lined with paper towels. Carefully place chicken in oil and cook until they are golden and crispy and cooked through, about for 5 minutes per side. Transfer chicken to the rack to cool. Place in sealed container. Pack in a lunch box with their favorite veggies and ranch, honey mustard or barbecue sauce for dipping. As I said earlier, this would make a great recipe for dinner, but it also makes great leftovers for lunch! Sooo, tell me, what have you done this week to be a good thing to your husband? 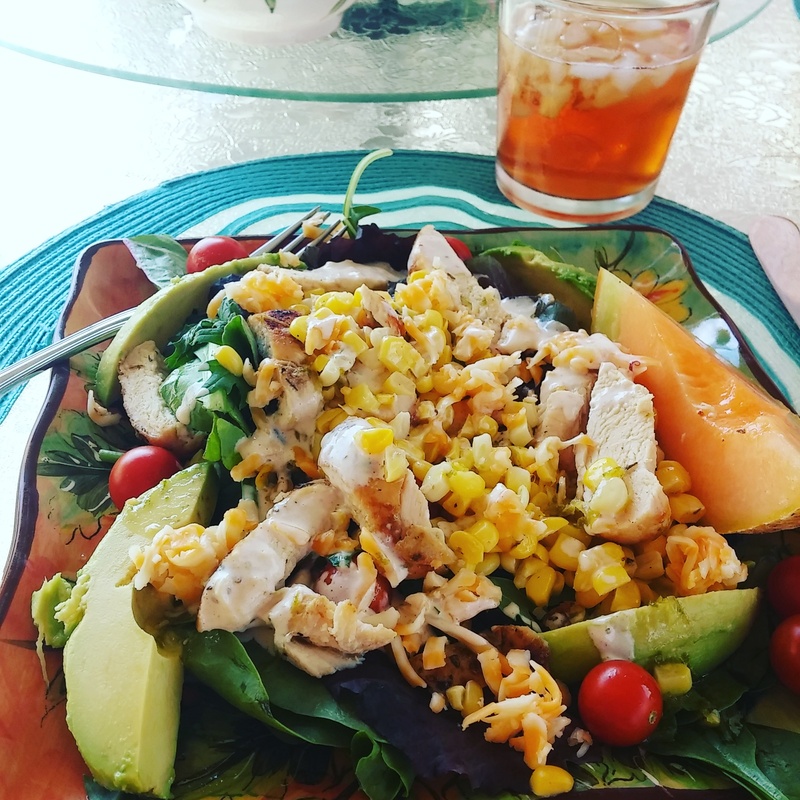 I found this Grilled Chicken and Corn Salad in Rachel Ray’s Magazine and it called my name! It appealed to me for many reasons, but I’m bringing it to you for one reason – IT IS SOOOO GOOD! The kicker for me is the super simple Honey/Lime dressing that goes over the salad. I think I am done buying pre-made salad dressings! Homemade vinaigrettes are just so much better! This salad is wonderful witihout the Crema! Heat a grill pan or outdoor grill over medium-high to high. In a small saucepan, heat the cream and chipotle over low, stirring occasionally. Simmer until it thickens a bit, about 5 minutes. Keep warm. Drizzle the chicken and corn with a little oil. Season with salt, pepper, thyme, oregano and cumin. Grill the chicken and corn until the chicken is cooked through and the corn is charred in spots, turning occasionally, 12 to 15 minutes. (If using a grill pan, cook the corn first.) Invert a small bowl in a large bowl. Place one corncob upright on top of the small bowl. Cut the kernels off the cob (they’ll fall into the big bowl). Repeat with the other corncob. Slice the chicken. Douse the chicken and corn with the juice of 1 lime. Dressing: In a large bowl, whisk the juice of the remaining lime, the honey and 1/4 cup olive oil; season. Toss with the greens. Divide among plates; top with the cheese, chicken, corn, chipotle crema and avocado. I also used the grilled chicken for this soup (with a few changes). I also cut the corn off the cob before adding it to the soup! My husband used the grilled chicken and made us Quesadillas for lunch one day (isn’t he sweet?!). He added the chicken, tomatoes, and cheese and it made a great lunch dish! So, do yourself a favor and make this Lime Dressing, if you don’t try anything else. Do yourself a second favor and fire up the grill and get some really flavorful meat in your fridge for the rest of the week! What have you cooked up in your kitchen this week? A friend of mine shared her tip for chopping chicken in a flash. Ready? You put the cooked meat in the mixer, turn it on, and in 30 seconds it’s all shredded. I wouldn’t use this method if you want the meat chopped, like for chicken salad, but I did this for these Chicken Enchiladas and the consistency was perfect. It would work great for pork that was being used for sliders or sandwiches. This is a real time saver! Thanks, Angie! What will you make with your shredded meat?